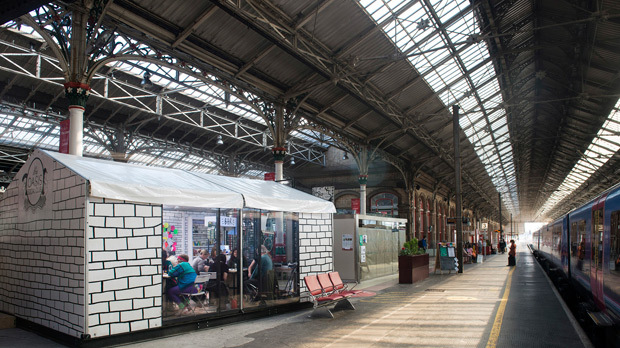 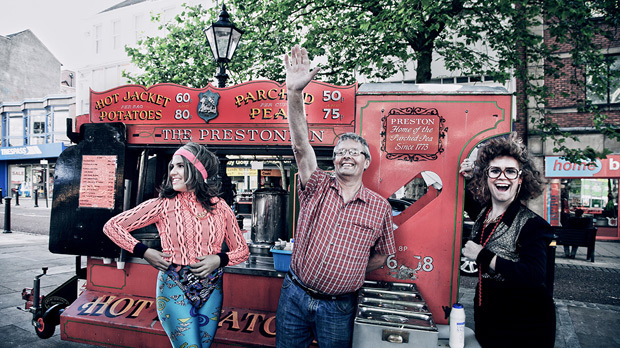 Preston Railway Station played host to a fantastic four day performance in a temporary social club for performance, fun, and debate – The Oasis Social Club. 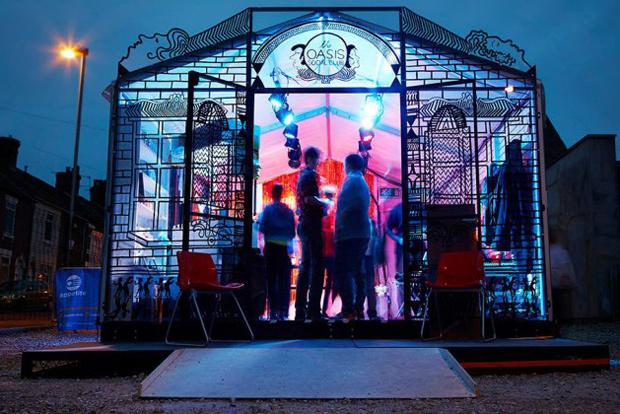 The club is the brainchild of London-based artist Rebecca Davies. 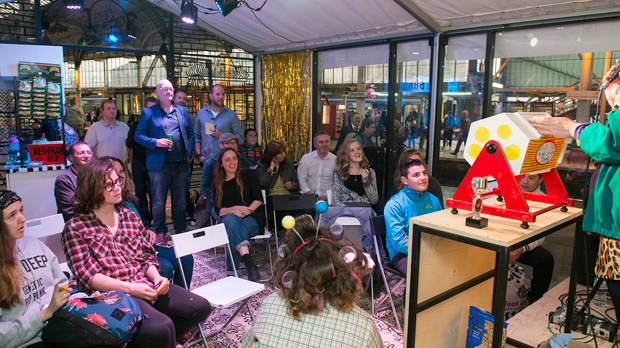 It’s a vibrant, temporary space, complete with a licensed bar, encouraging the local communities to participate in discussions about their area and take part in a range of fun activities and entertainment. 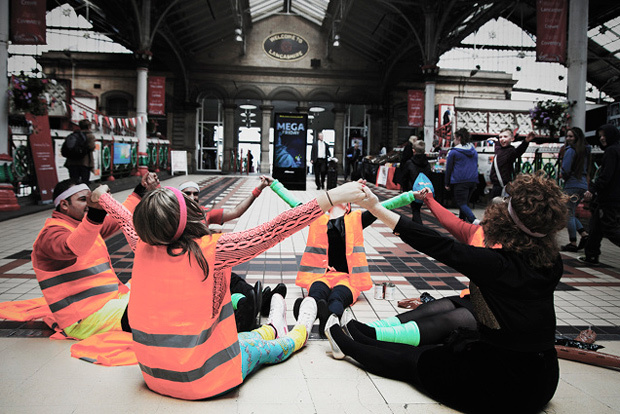 The four day event announced the arrival of Hit the North – a captivating new live art experience conceived and run by us at TheyEatCulture, in residence at the train station. 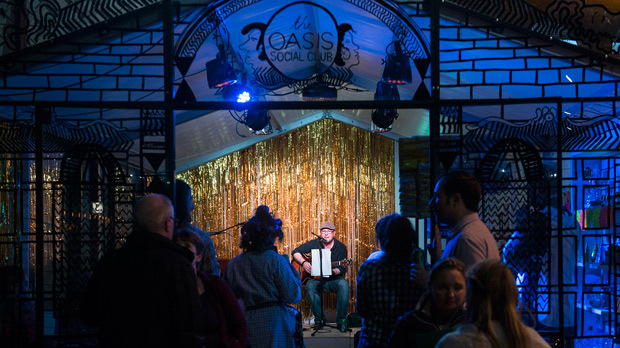 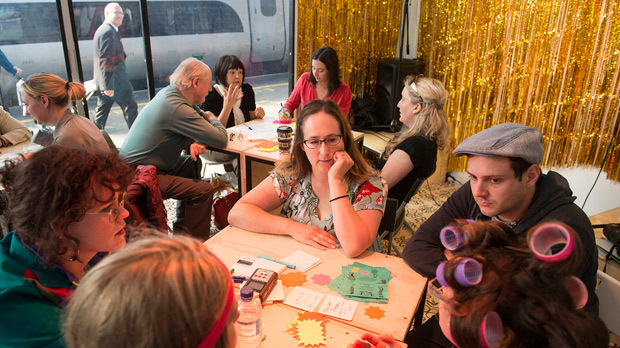 Like any social or working man’s club, Oasis was a place to talk about matters that affect the area and the community, alongside wider discussion around what defines ‘the north’ and what it means to live and work here. 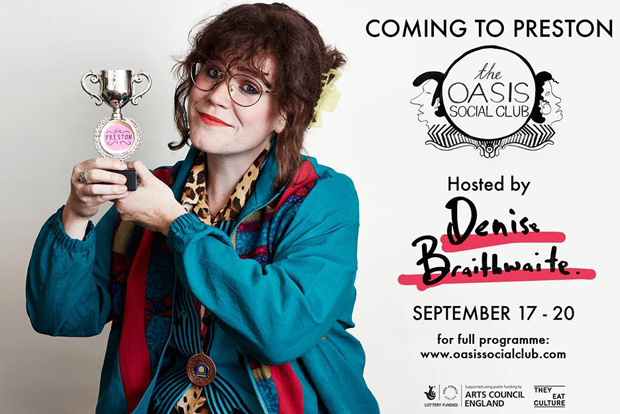 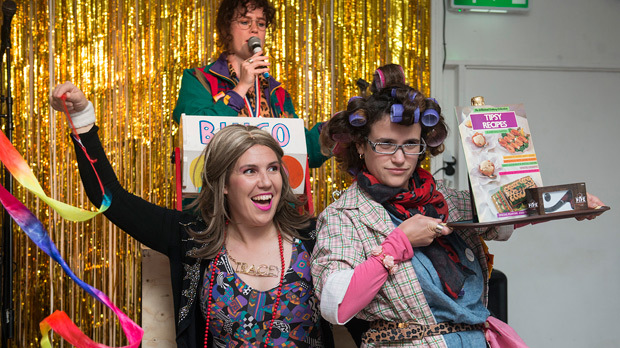 Through conversations with the local community – including a ‘Bingo and Meat Raffle’ – Rebecca devised a fictional ‘host’ figure for the club and remained in character as for the duration of the event; 46 year old Denise Sheila Braithwaite from Penwortham!